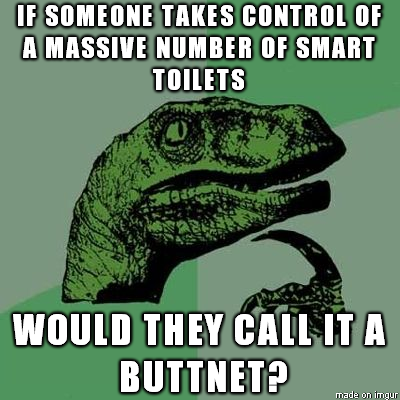 The bathroom is probably not going to be a hub of cyber-hygiene. Hopefully those devices can be wiped clean. Which Is Cheaper In The Long Run? How Is TSA Screening Like A Pizza Parlor? What Date Is A Good Date For An Update? How Do You Avoid Slipping In Your Own Snake Oil?